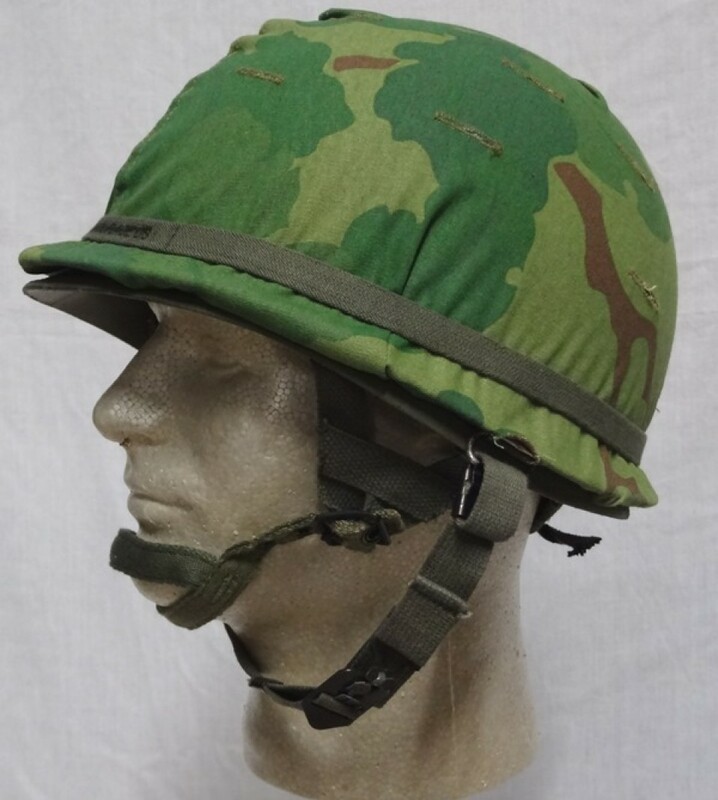 M-1C Airborne Helmet Complete, Reenactor: This helmet features an original steel M-1 helmet shell in G to VG condition with correct Vietnam era M1-C Airborne chinstraps (they have the male snaps for the liner). 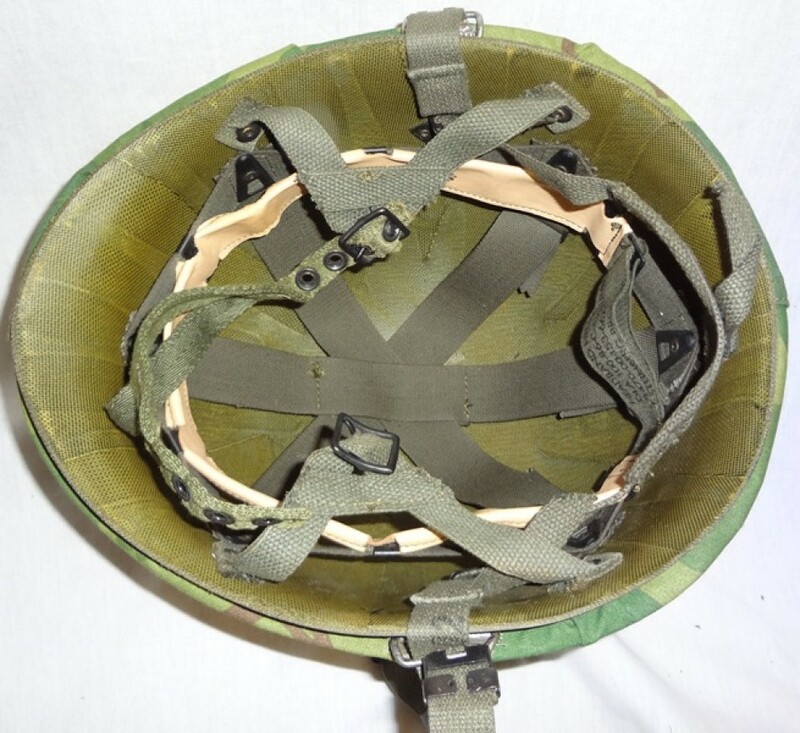 Helmet liners are VG+ to EXC condition post war dated liners from the mid 1970's to mid-1980's. 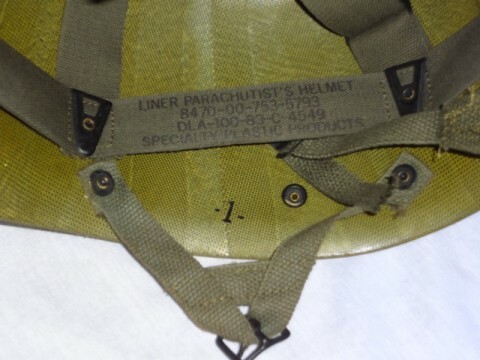 The helmet liners are correct Airborne liners with A-Straps and female press stud snaps to attach to the helmet chinstrap. These have fixed suspensions like 1960's dated liners, only the date stamp is different. Complete with NOS post war nape strap and VG to EXC postwar sweatband. Chin cups are in EXC condition. 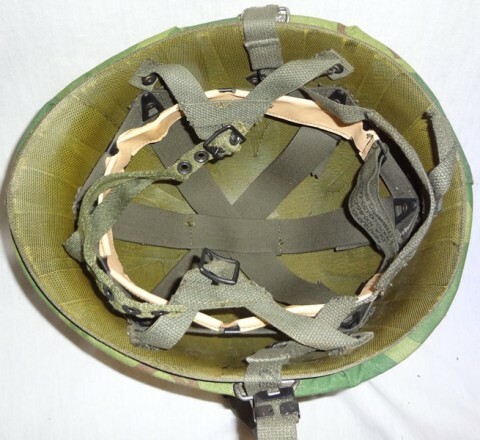 Helmet includes new repro Mitchell Cover and correct elastic camouflage band. 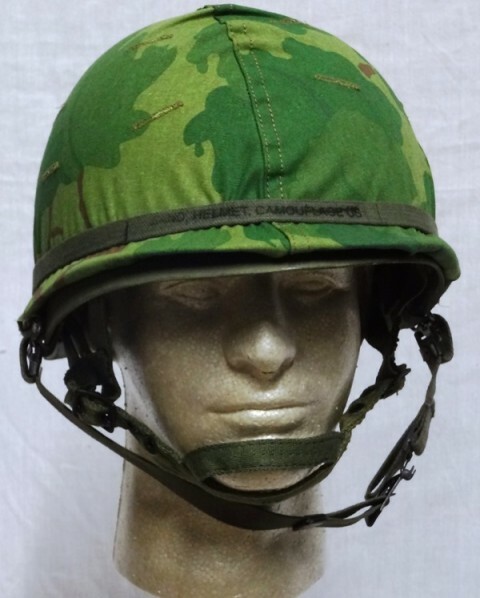 The perfect reenacting or display helmet.